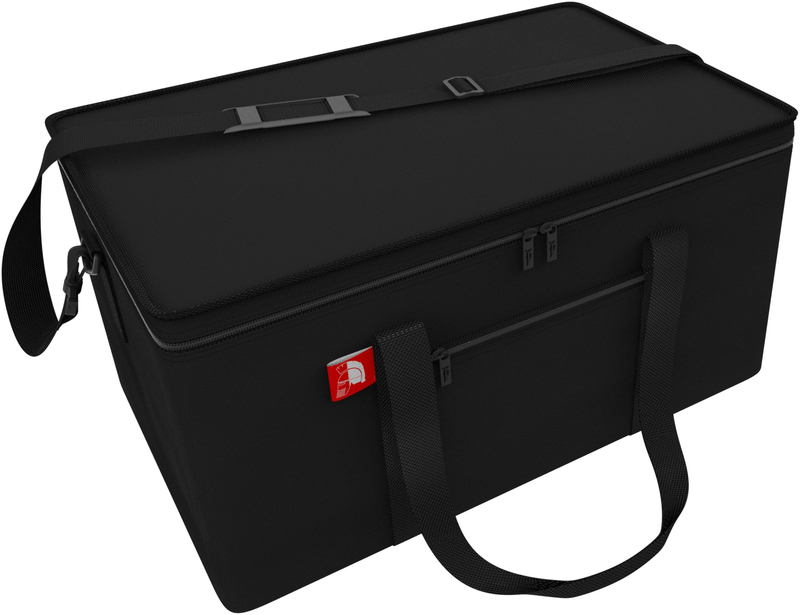 The transporter is a large-volume, lightweight bag - the easiest way to transport our storage boxes M or XXL. One bag fits 4 storage boxes size M or one box size XXL. 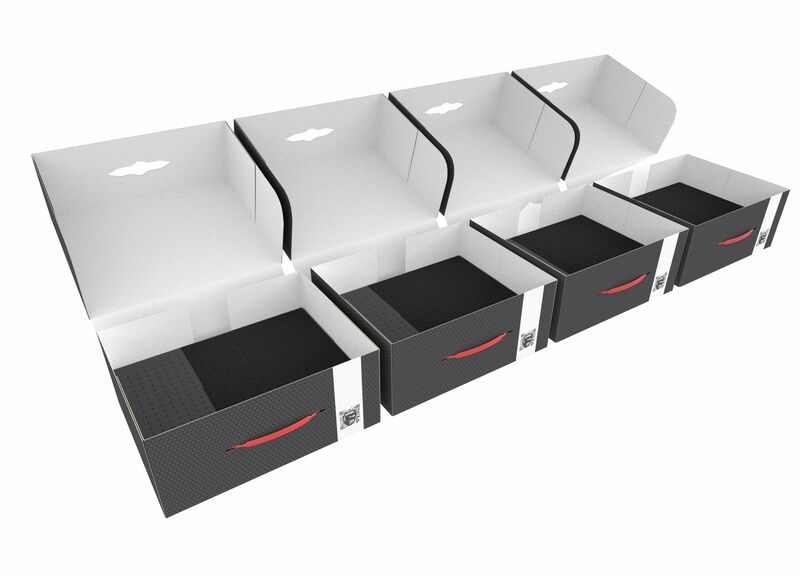 Only the Feldherr transporter fits one storage box XXL to carry up out double-size foam trays. This box will hold 15 cm of Feldherr or GW Foam full-size trays (these are 4 x 25mm trays with bottoms or 8 x 25mm half-size trays). These boxes are perfect for stacking in your cupboard, shelf, closet ... or transporting if necessary. The external dimension is only slightly larger. 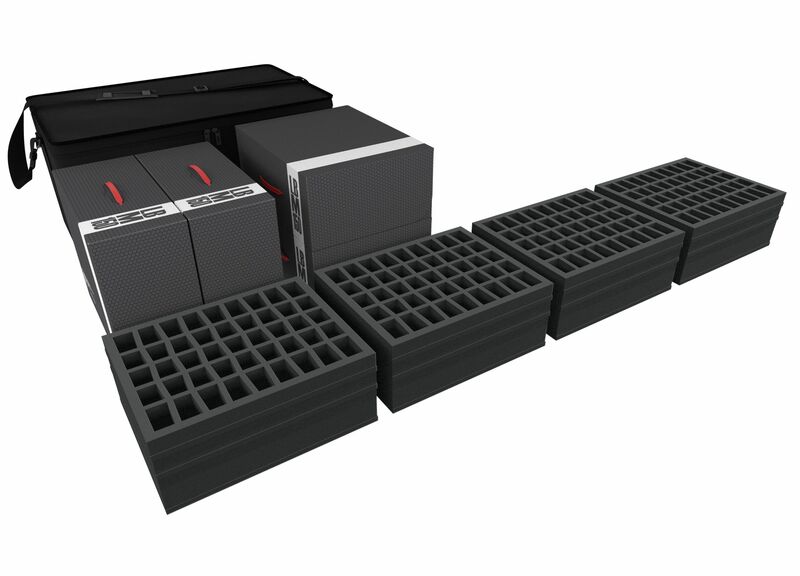 Each box can be equipped with a 4 kg load. The Box is supplied flat and space saving. Foam tray with slots in c-slot design. The slots have a conical footprint. 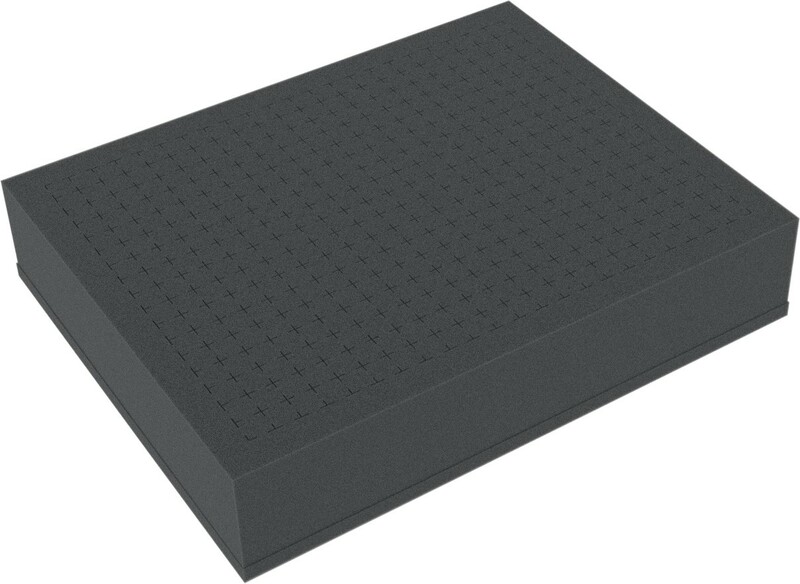 The dimensions of the foam mat with 45 slots is the same as that of the foam mat with 36 slots (345 mm x 275 mm). We have the slots arranged in a space-saving and optimizing the distances between the slots. On the mat five rows are pre-punched with a nine slots. The length of the longest side of the slot varies in three stages: 37, 39 and 49 mm. 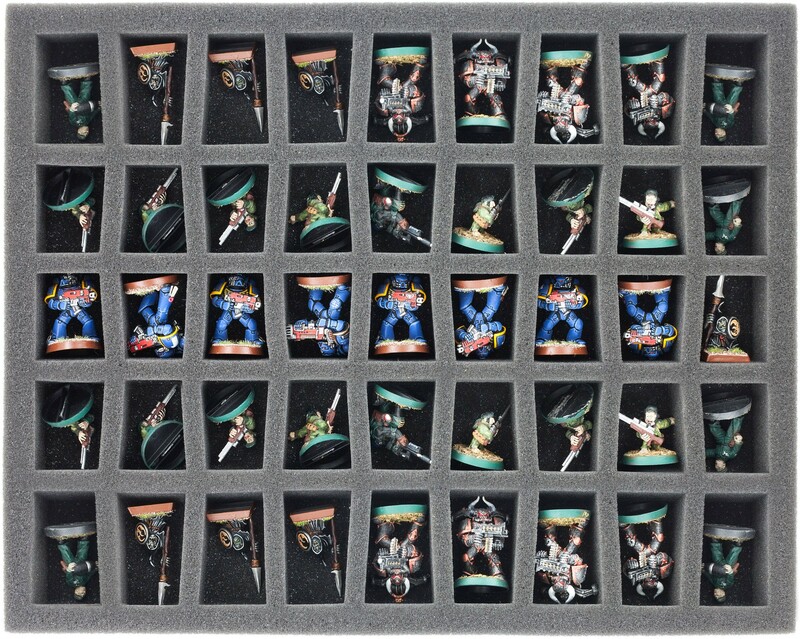 Dimension: Feldherr Full-Size (FS) Foam Trays: 34,5 cm x 27,5 cm x 35 mm. The 35 mm depth of the foam is result from 10 mm foam base and foam tray with 25 mm effective thickness. 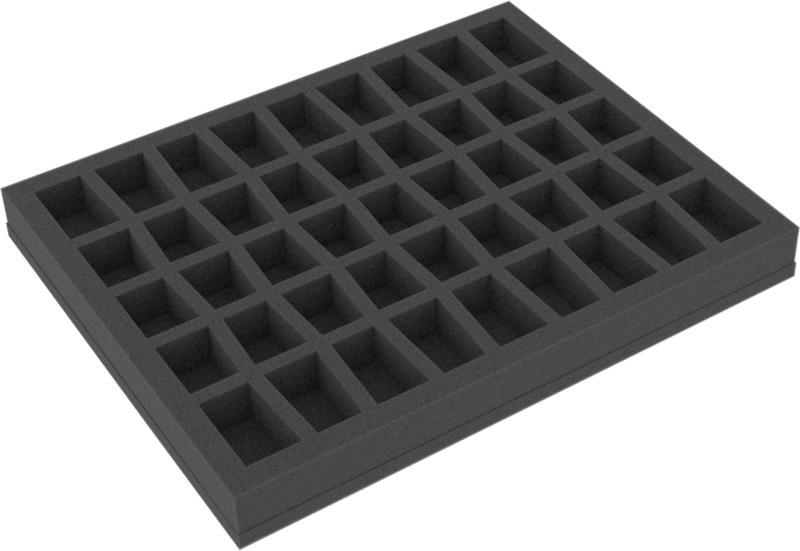 60 mm full-size raster foam tray: Perforated foam cuboids (22 * 17 = 374 cuboids) that allow you the option of where you want to place your miniatures!